Using the individual Rotate, Translate, Scale and Skew tools is not recommended, as they move each piece from their own pivot point. They are compositing tools. The Transform tool creates a global selection, so when many parts are selected, you can move them as one unit. The Transform tool is highly recommended for cut-out animation. When animating with the Transform tool, make sure to select the right selection mode. In this example, make sure that the Peg Selection Mode is disabled in the Tool Properties view or it will limit the selection in the Camera view to pegs only. 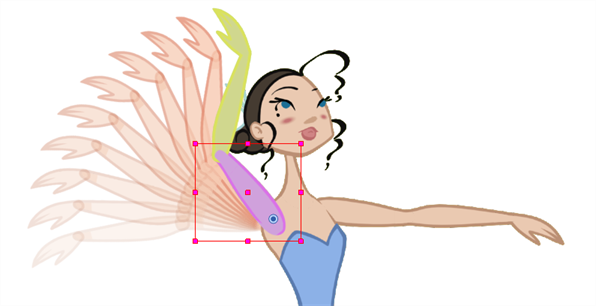 If there are hierarchy connections in the cut-out character, the Transform tool will also be used as the Forward Kinematics equivalent. 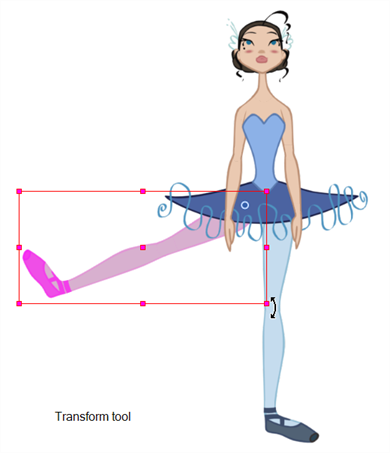 The Transform tool can be used on any kind of rigging. When many parts are selected with the Transform tool, the first selected part's pivot will be used as the global selection's pivot. This pivot can be moved temporarily for the animation. When you offset the pivot, the permanent pivot is displayed as a ghost. 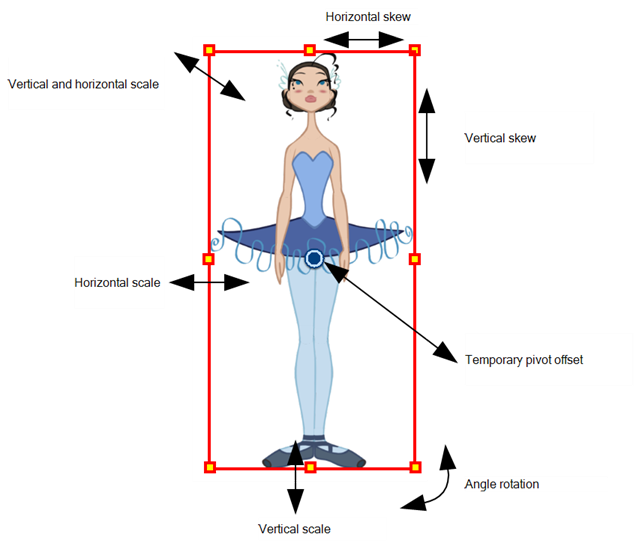 NOTE: The interpolation of the animation poses is always calculated from each individual part's permanent pivot. If there's a parent peg on a limb, make sure to select it instead of making a selection of each part to avoid setting individual keyframes.